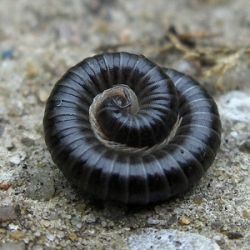 Millipedes are often mixed up with centipedes, but belong to the class of Diplopoda and are distinguished from the Chilopoda (centipedes) by having two pairs of legs per body segment instead of one, by curling up into a ball when disturbed, instead of running away, and by exuding a nasty smell when touched. 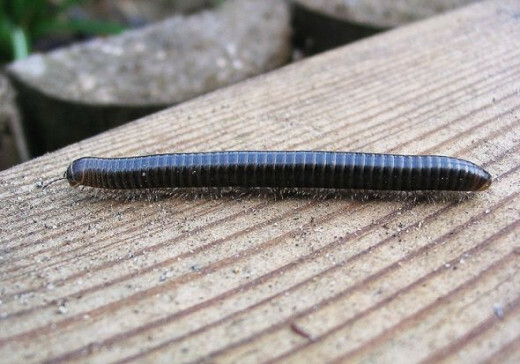 Two species of millipede are most common in the garden: the spotted millipede, Blaniulus guttulatus, which is at most 1.8 cm long, and the flat millipede, Polydesmus angustus. 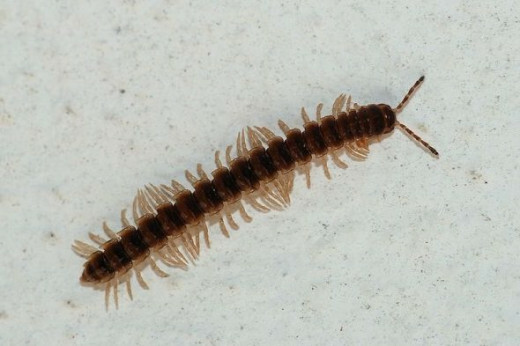 In greenhouses and in southern states of the US the most important millipede is Oxidus gracilis. 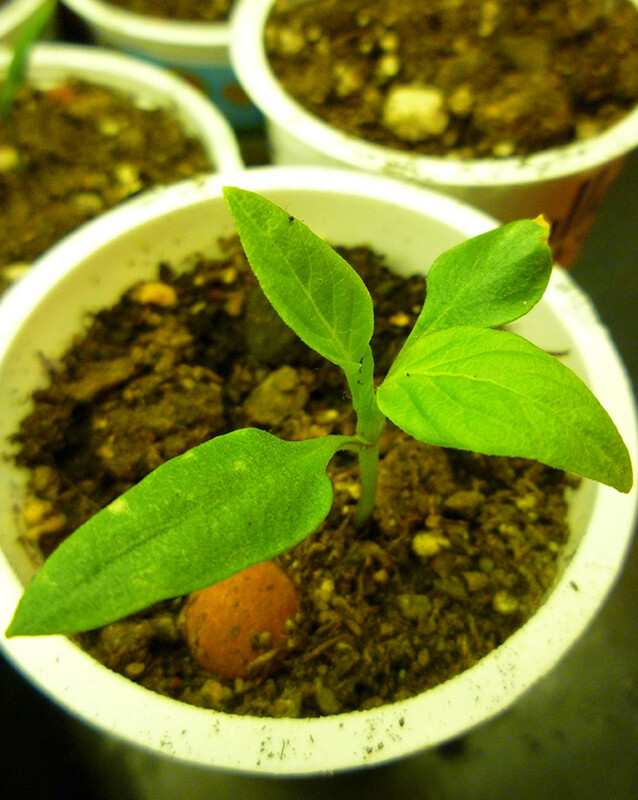 It is originally a tropical species that has spread all over the world and has become abundant in greenhouses. Females lay 50 - 300 eggs in small, with saliva fortified, underground chambers throughout the summer months. The young that hatch in 2-3 weeks look like adults, but have only a few body segments and just three pairs of legs. The number of segments increases after each moult, which also happens in an underground chamber. O. gracilis undergoes eight moults before adulthood. In winter the adults remain inactive in the soil. 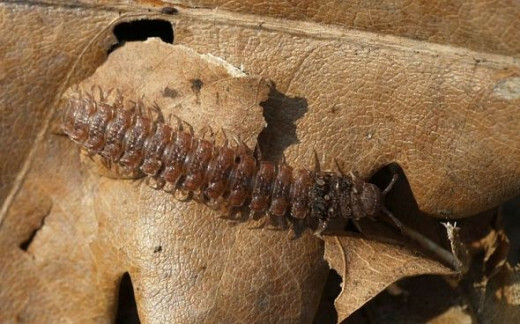 Some millipedes can live up to four years, others, like O. gracilis, just one year. 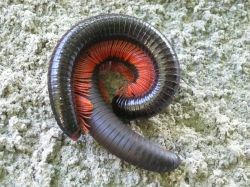 Millipedes normally feed on dead plant tissue, but also occasionally on dead insects, snails and slugs and in that respect they are beneficial. However, they also eat seeds and young seedlings. 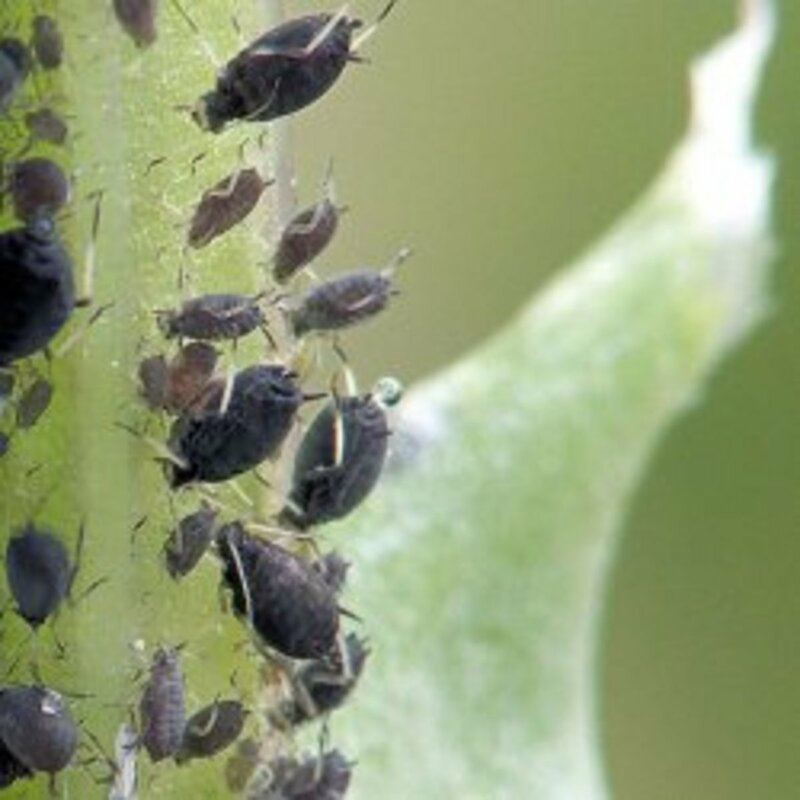 Especially pea and bean seeds are susceptible in early spring, but also other plants are damaged, such as cabbage, carrot, cucumber, lettuce, tomato, radish. When roots, bulbs, corms and tubers have been wounded by other pests, such as slugs, millipedes often extend those wounds. When attacks are severe, entire bulbs can be destroyed. 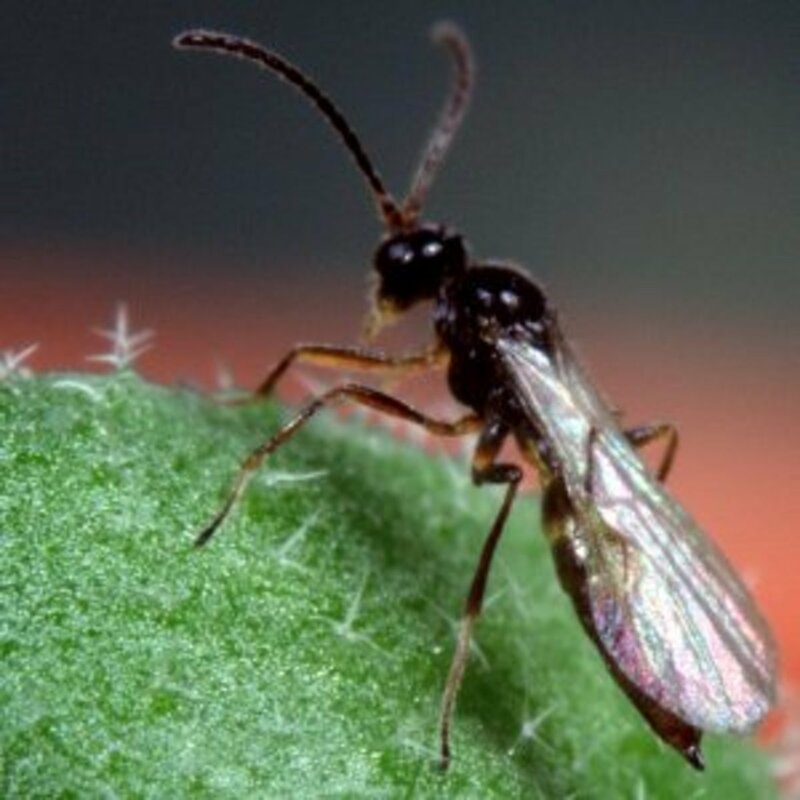 Although they have an effective defend mechanism, which consists of poison glands along the side the body that make them smelly and gives them a nasty taste, they have several natural enemies. Small vertebrate enemies are shrews, birds, toads, badgers and lizards. Also certain insects, such as ground beetles (Coleoptera: Carabidae) and rove beetles (Coleoptera: Staphylinidae) prey on millipedes, as well as spiders and scorpions. I have once witnessed a milliped being eaten by a centipede. 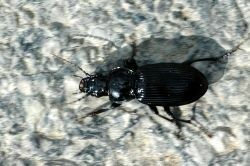 The ground beetle Pterostichus melanarius (Coleoptera: Carabidae) was found to be a natural enemy of Cylindroiulus caeruleocinctus (Wood) (Diplopoda: Julidae) in a sweet potato field in Ontario. 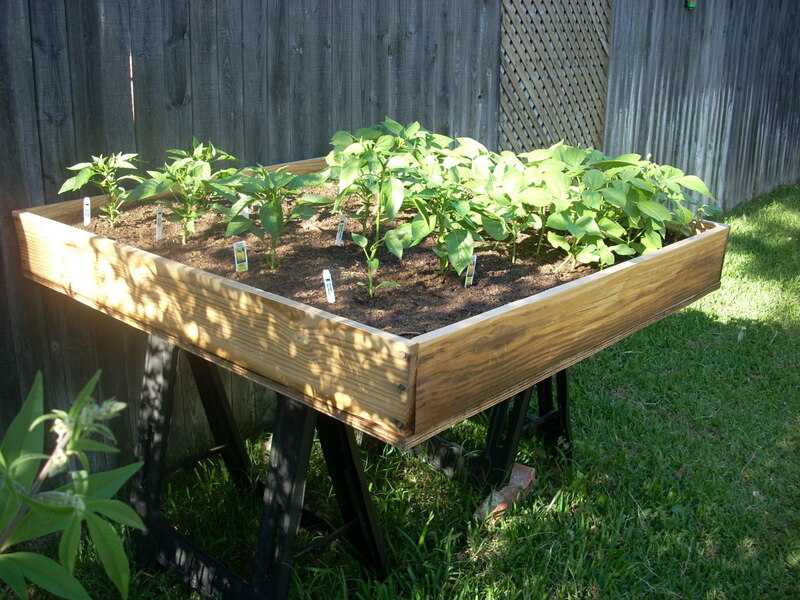 When seedlings grow under cool, early spring conditions, they are most susceptible to damage by millipedes. 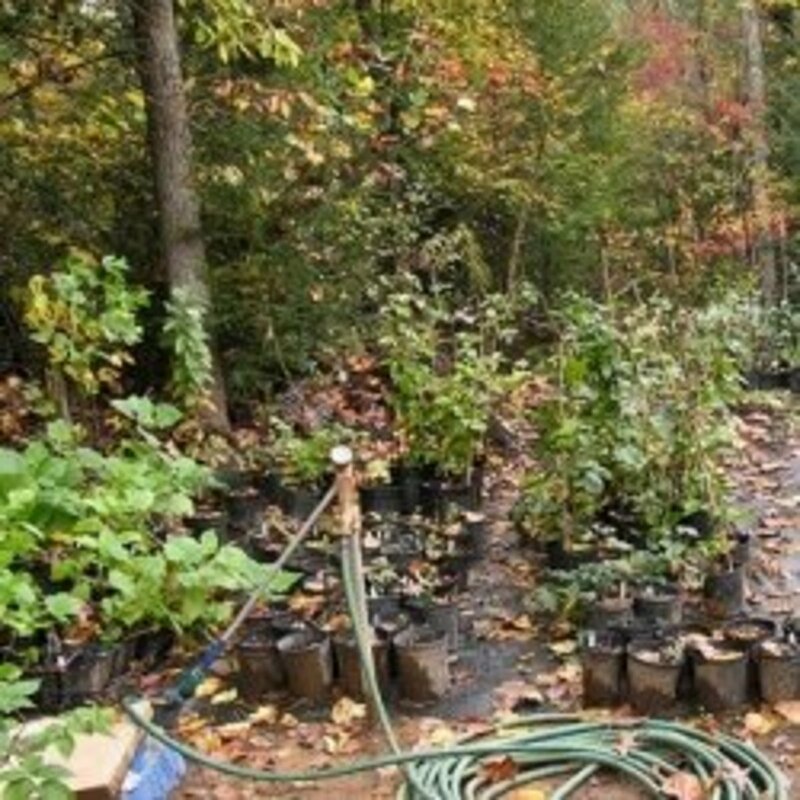 It is advised to delay planting until the weather is more favourable for plant growth, as this minimises injury by seedling pests. 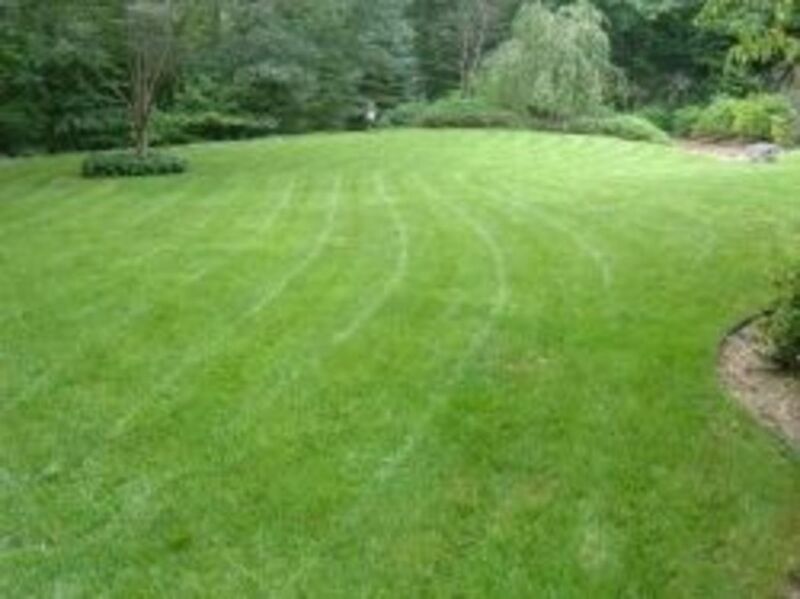 As millipedes are attracted to organic matter and manure, which is their principal food, and to mulches, dead leaves and thick weeds, which are favourable to their survival, these should be removed. Thanks for sharing this interesting fact. Anything more than 6 legs creeps me out. I try to get someone else to catch these things. Ugg. Luckily I haven't seen one since I moved to Florida. You have introduced me to a new world. Wow. I never knew there was a difference between millipedes and centipedes.